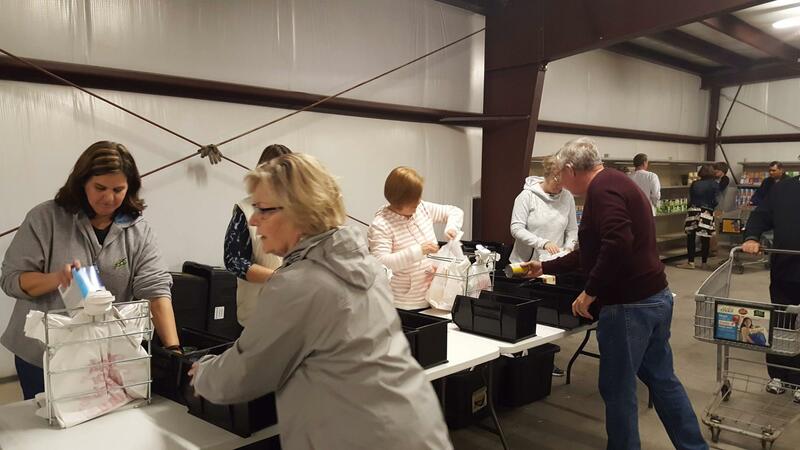 For more than 5 years, the Food for Families Ministry has been helping children get the nutritious and easy-to-prepare food they need to get enough to eat on the weekends. Today, bags of food are packed and assembled and then distributed to more than 500 families in 14 schools throughout our area. 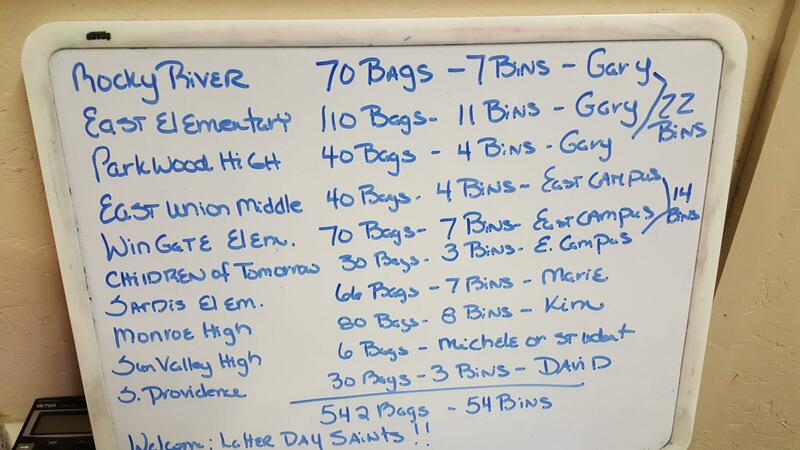 These bags contain enough staple food items to sustain families throughout the weekend. But, unfortunately we are only scratching the surface of the true need. There are hungry, needy children in every school in Union County and our surrounding area. For years, teachers and administrators across Union County Schools have witnessed a dire need in many of their students. Students arrive to school following the weekend and many have not eaten since their free or reduced lunch at school on Friday. This literally creates a learning and discipline disability socially and in the classroom. We knew that we could make a difference in these kids’ lives by providing food for them for the weekend. So, early in 2012 The Backpack Ministry of First Baptist Church Indian Trail (FBCIT) was born and supported by a hand-full of concerned members. 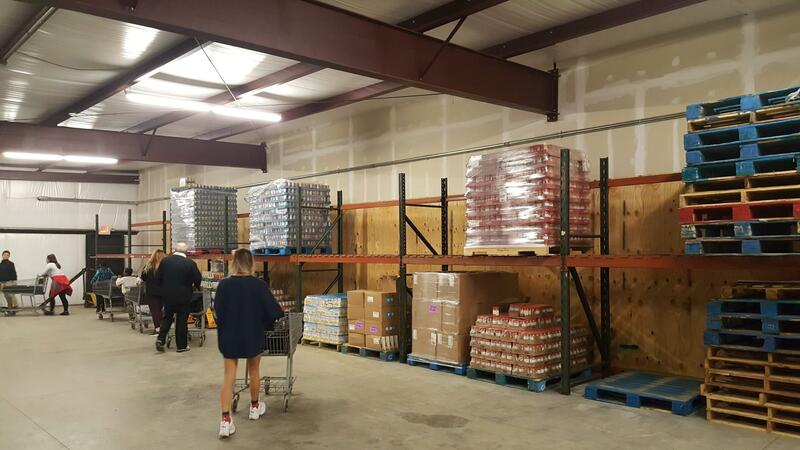 Our humble beginnings were highlighted by us renting a storage building for $1 per month, and packing and distributing nutritious backpacks of food to 20 families in nearby schools. These same teachers and administrators mentioned earlier began to see an immediate difference in these children’s attitudes, discipline and school work. We knew that the success we were seeing in these children could be multiplied across the entire Union County School system. But, we needed more space, resources, volunteers and food. We quickly out grew that space and moved to an office building which was donated to us. In a short period of time, we grew from serving 20 to over 200 families and outgrowing the office building we were using. We then moved into a warehouse that was graciously donated to us, that we are currently in. However, we knew we needed the support of the church, community and local businesses to meet this ever growing need. In 2014, we applied for our 501(c)(3) and was approved. We changed the name to Food For Families, working under Backpack Ministry Inc.. We rely on the selfless donations of individuals, churches, volunteers and gracious businesses to meet the weekly needs of Food For Families. 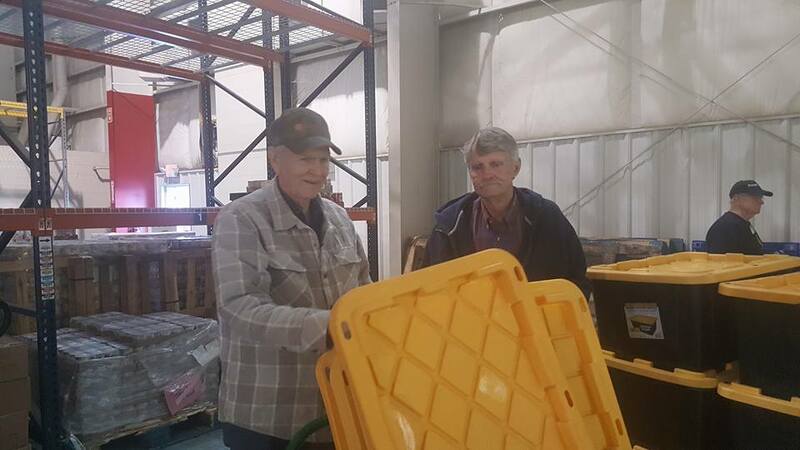 Thankfully, to date, Food for Families has delivered over 50,000 nutritious meals to needy, hungry children in Union County and surrounding areas. We will continue to grow, serve and help feed families in need. Be a part of this wonderful cause and help us continue to reach and serve hungry children and families by making a donation today!